Closeout. 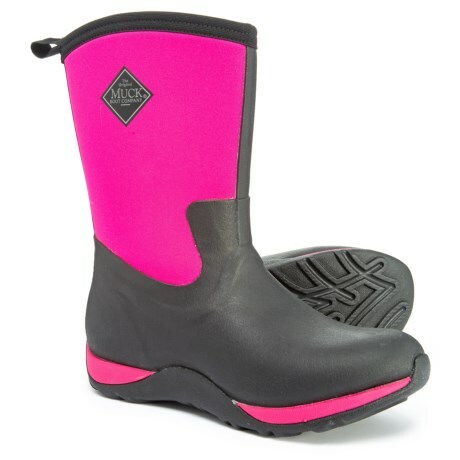 From wet-weather chores to slushy commutes, these Muck Boot Company Arctic Weekend Mid boots keep your feet comfortably dry and warm with waterproof construction and CR flex-foam insulation. Available Colors: PINK, GREEN, RED, MAROON. Sizes: 5, 6, 7, 8, 9, 10, 11.